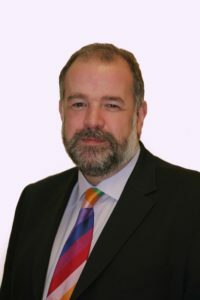 Kevin worked in the financial services sector for thirty-three years, retiring as Head of Learning & Development at AIB Group. He now focuses his time and energy providing executive & business coaching, leadership development and change management solutions to individuals and organisations seeking to improve their performance and realise their potential. He is a Fellow, and former vice president, of the Institute of Bankers in Ireland and a member of the European Mentoring & Coaching Council. Kevin is a very experienced business and executive coach. He has worked on change management and coaching assignments with senior management and their teams, in Banking, Telecoms, Engineering, Not-For-Profit, Pharmaceutical, Catering, Health and Retailing sectors. He is also a coach on the Gaelic Players Association, Personal & Professional Development Programme. Kevin is a member of the UCD/Smurfit Graduate Business School MBA coaching panel. He is a coach practice tutor on the UCD/Smurfit post graduate Diploma in Business & Executive Coaching and a coach tutor on the UCD/ICON certificate in international business management. Kevin established the organisation’s first Change Management Unit and was responsible for designing and embedding the organisation’s managing organisational change methodology incorporating; change strategy, project prioritisation, communication, implementation, review and measurement processes. In a senior business development role, Kevin was accountable for all aspects of business planning financial planning and performance management across 65 Retail Bank Branches. Kevin has a Master of Arts Degree in Change Management and a post-graduate Diploma in Business Research both of which he received from the University of Brighton. He holds a post-graduate Diploma in Business & Executive Coaching from the UCD, Smurfit Graduate Business School, Dublin. He is accredited by the British Psychological Society, at level A & level B, Test User; Ability & Personality.